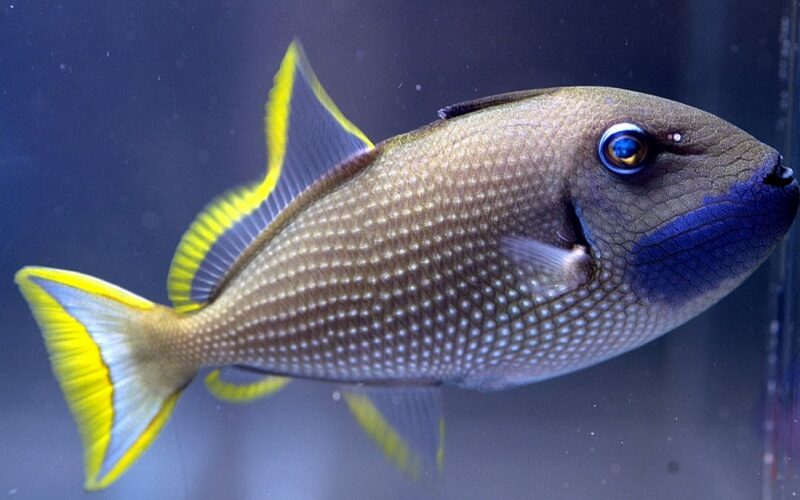 There are many reasons why this triggerfish is a great choice even for reef tanks. 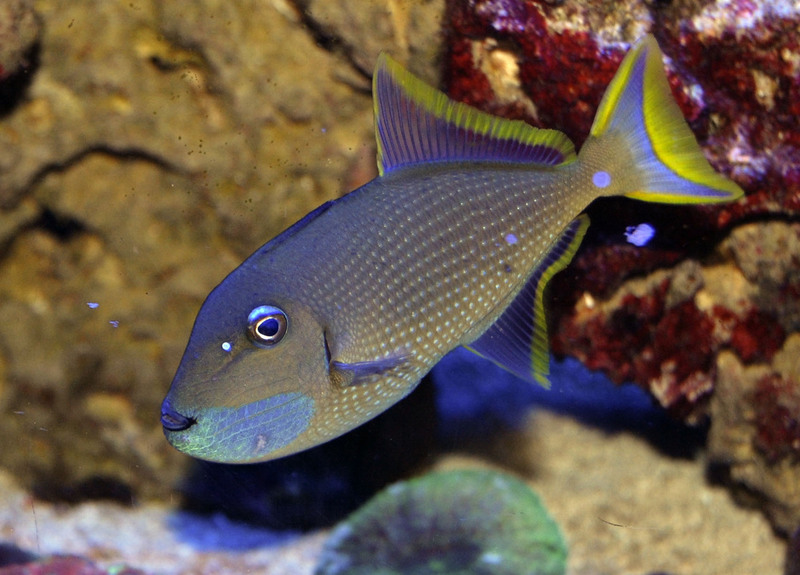 Like all triggerfish, Blue Throat are among the most rugged of all aquarium fish, withstanding poor conditions and rarely succumbing to disease. There is rarely a problem getting even new triggers to eat. On the contrary, they will beg for food every time they see you walk by the tank. This behavior may even include spitting a little water out of the tank. Blue Throat, along with Sargassum and Crosshatch triggers, are by far the best choices for a reef aquarium. The advantage of the Blue Throat is that it is both readily available and reasonably priced. Sargassum seem to rarely be available in the trade, and many people would need to take out a loan to purchase a Crosshatch. Blue Throat triggerfish feed primarily on Zooplankton and Algae, thus have a more similar diet to Omnivores like tangs, than that of their primarily carnivore cousins. Because of this, they are much less likely to eat the invertebrates that are common to reef aquariums. Blue Throat triggers also have the advantage of being much less aggressive than most non-reef safe triggers. The exception to this is when they are kept in a tank that is too small, or overcrowded, or not well fed. If you are looking for a great fish for your eighty gallon or larger reef or fowlr aquarium consider a Blue Throat Trigger, or better yet a male/female pair. To learn more about the Blue Throat Triggerfish and to perhaps add one to your home reef aquarium please contact our fish tank store in Tempe, AZ and see what our current livestock inventory is at the shop.